Learn more about the Blitz here with our short reference resource. Teachers, scroll down for a quick list of key resources in our Teachers Toolkit, including a link to today’s simple MapMaker Interactive map. 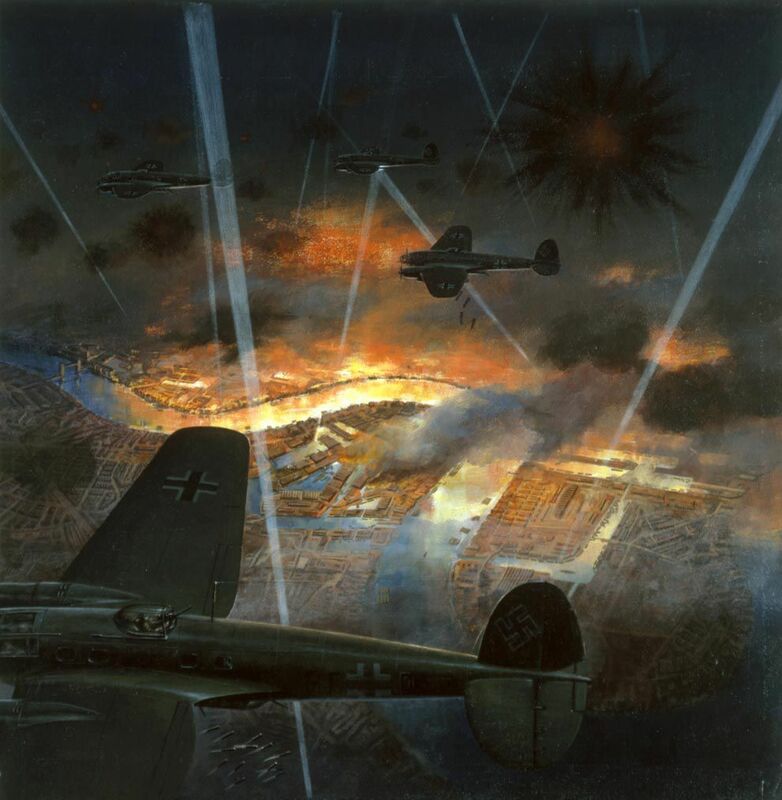 London’s Royal Docks were frequent targets of the Nazi blitzkrieg campaign of 1940 and 1941. 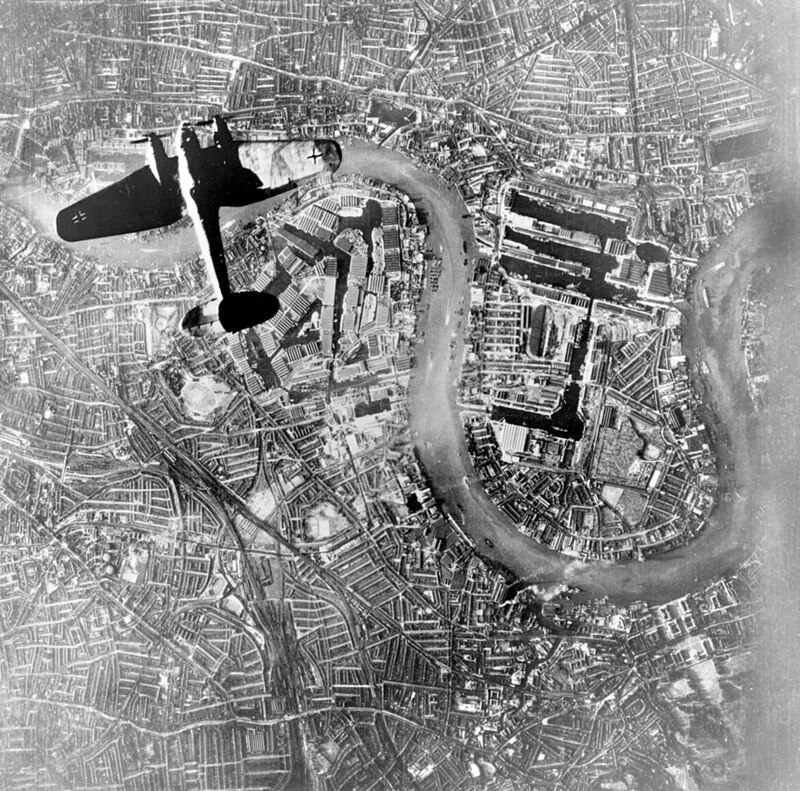 This classic photo, of a Luftwaffe Heinkel He 111 bomber, was taken by another German bomber just west of the Royal Docks where unexploded ordnance was recently discovered. 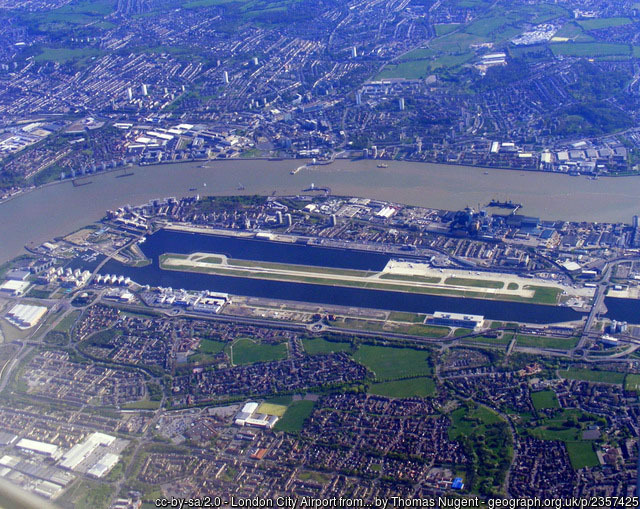 Today, the Royal Docks are home to London City Airport (check out the runway here), a campus of the University of East London, and mixed-use properties. How did a bomb end up buried in the bed of the Thames River in London? Take a look at our short article for some help. Nazis. The ordnance is a remnant of the Blitz, the “lightning war” (blitzkrieg) bombing campaign that blanketed London with more than 24,000 tons of explosives between September 1940 and May 1941. Learn more about London’s Royal Docks with this great resource. Why didn’t the bomb explode when it was dropped 70 years ago? About 10% of bombs dropped throughout Europe during World War II failed to detonate due to faulty timing or mechanical defects. The British Ministry of Defence says its bomb disposal teams deal with about 60 WWII bombs every year. How was the bomb discovered? The London City Airport is undergoing a huge expansion project that includes developing property near the George V Dock. This development project requires dredging the muddy Thames riverbed, where the bomb was buried beneath about 15 meters (50 feet) of water and 9 meters (30 feet) of silt. Why did it take so long to remove the bomb? Geography! The timing of the removal was dependent on the tides—the Thames is a tidal river and currents impact the difficulty Royal Navy personnel face in extracting the bomb. The key time turned out to be the evening—Royal Navy divers worked through the night to move the 1.5-meter (5 foot) German bomb down the Thames. How was the bomb removed? Authorities first established an exclusion zone of 214 meters (702 feet), and later increased the zone to about 250 meters (820 feet). Then, bomb disposal units conducted a controlled detonation of the device. First, they freed the shell from the silt. Second, the device was towed to Shoeburyness, a disposal site at the mouth of the Thames. “It’s been put in 10m [33 feet] of water so we are expecting quite a large plume when we explode,” says one expert. What is happening to passengers scheduled for flights to and from London City Airport? Take a look at the second bookmark on today’s MapMaker Interactive map for some help. A “rest centre” operated by local government provided food and shelter for families who have been temporarily displaced. Some flights were postponed until the airport opened again on Tuesday. Some flights were re-routed to nearby airports such as Southend and Stansted. Both airports are about 44 kilometers (30 miles) away. This terrific painting shows an illustrated view of London docks during the Blitz.